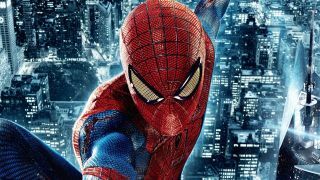 Marc Webb, director of Amazing Spider-Man and Amazing Spider-Man 2, has revealed a few tiny details about where he and Sony would've taken the franchise for Amazing Spider-Man 3. Speaking to Den of Geek, Webb said he wanted to bring back Norman Osborn as the Green Goblin and introduce a new villain: The Gentleman. The Gentleman is not an established character in the comics, and was only seen in silhouette at the end of ASM2, teasing a supervillain team-up known as the Sinister Six. "Yeah, we were talking about the Sinister Six," Webb said. "They were going to make a Sinister Six movie before we did the third one. But I wanted... Chris Cooper was going to come back and play the Goblin. We were going to freeze his head, and then he was going to be brought back to life." Webb said that Cooper would've been the main villain, leading the Sinister Six. "We had some notions about how to do it, but I think maybe we were thinking too far ahead when we started building in those things. But it was a fun exercise. I look back very fondly on those days," he said. To reiterate: Chris Cooper, who played a dying Norman Osborn in the Amazing Spider-Man series, was going to come back as a cryogenically frozen and then reanimated head. Look, I love comic books and I think anyone who follows them will tell you they're occasionally just plain silly, but... really? At least I can agree with Webb that yeah, he probably was thinking too far. Best to quit while you're... ahead.